This brownie is a chocolate lover’s dream. We top our rich, chewy chocolate brownie with a creamy chocolate fudge topping. Our brownies are large enough to share weighing in at approximately ¼ lb. each. Yum!! 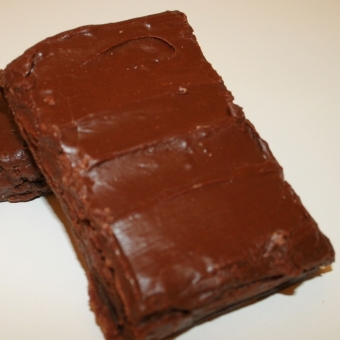 Size: -- SELECT -- Double Fudge Brownie 6 ct.Double Fudge Brownie 9 ct.Double Fudge Brownie 12 ct.